Brad Schrock works hard to achieve justice for clients dealing with car accident injuries because of the carelessness or fault of another driver. Brad understands the stress and disruption that such events can cause in your life. Not only are you injured and in pain, but your daily activities are limited. Also, you have to deal with getting the car repaired or replaced, and has the hassle of arranging for medical treatment and attending medical appointments. 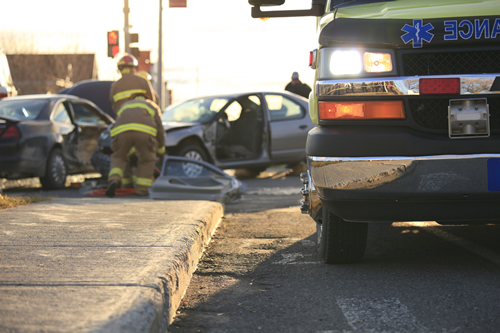 You have the right to reasonable compensation if you were injured in an automobile accident due to the negligence of the other driver. You can recover money for the pain and suffering, as well as any economic damages (such as medical bills or wage loss) that you sustained. Brad will work with you to develop a realistic objective for the case, and he is not afraid to take a case to trial if that is what it takes to achieve just compensation for you. Brad Schrock handles automobile collision cases as well as collisions involving trucks, or involving a vehicle and a bicycle or pedestrian. Brad Schrock understands the complexities of handling PIP insurance issues, health insurance issues and Medicare/Medicaid issues in the context of a personal injury claim. The goal is to educate you so that you understand the general rights that such insurance or benefit providers hold, and how they impact recovery in the context of a personal injury claim. At Schrock Law Office, Brad assumes personal control over the case, and talks to clients personally concerning all aspects of the case. The client can be assured that they will be dealing primarily with their attorney rather than law office staff. Schrock Law Office is not a personal injury claim mill – all matters and all clients receive personal attention.